Price : $189.99 without buckle for AP 42mm, or $229.99 for AP 44mm, or $149.99 for normal shape. 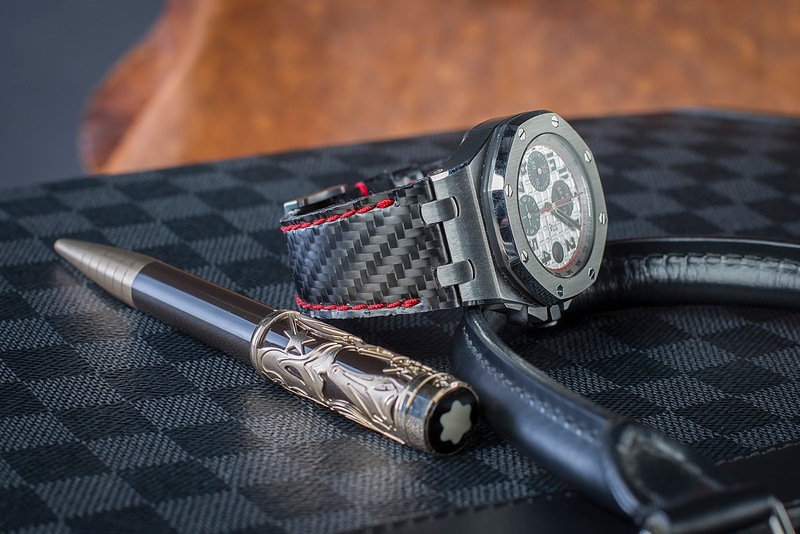 I use real carbon fiber material, not a printed leather with carbon fiber pattern. 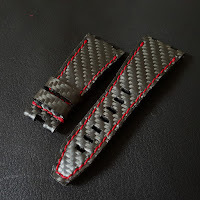 The texture is a bit rough compared to most 'carbon fiber'-said strap. I will make the strap to fit your original buckle, so just tell me what kind of buckle that you're gonna use with this strap, or you can also buy buckle from me for +$17 but it's gonna be generic tang buckle.